Cut chicken into 1 inch by 3 inch pieces. Keep aside. Note: Normally boneless chicken is Preferred for this recipe. Chicken with bones can also be used. In a mixing bowl add all the marinate ingredients except chicken. Mix well. 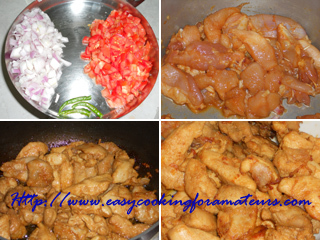 Add chicken pieces mix and keep aside to marinate for 10-15 minutes. Add marinated chicken keep stirring in between. Do not cook the chicken completely. When the chicken is cooked to 75%, takeout the chicken pieces to a plate and leave the oil in the pan. Add onion and 1/4 tsp salt to the same pan saute till transparent. Add cashew nuts, ginger paste and garlic paste saute till raw smell goes. Add chilly powder, coriander Powder, green chilly and kasuri methi Stir once. Add tomato, stir and close the lid. Cook till tomato is cooked completely. Pour it to a blender and blend it to fine paste with little water. Heat butter in the same nonstick pan. Add blended paste, stir for 2 minutes. Add water to required thick gravy consistency. 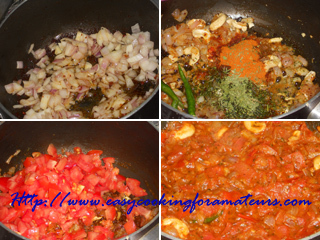 Add garam masala, salt, sugar and tomato sauce. Add cream mix once and add chicken. 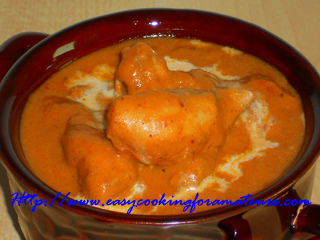 Creamy butter chicken is ready to serve with chapatti, naan, paratha and rotis. 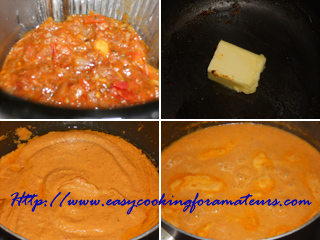 looks super delicious dear, have made paneer makhani, never made using chicken...lovely recipe.. I haven't tried this.. sounds new to me.. will try this..
delicious curry MAdhura, very well made. Hi u ve a nice space.. loved ur recipes.. do visit my blog wen u find time. 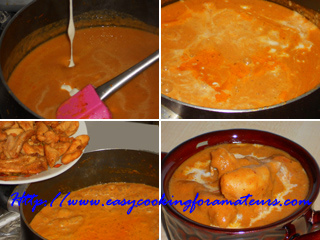 butter chicken looks delicious. even tempting for a veggie like me. @yogesh kumar, Thanks for ur compliments. Do subscribe the blog for future recipe updates. Love the flavors.. looks so creamy..